Meet Bri, her full name is Brianna and her friends call her Breezy. Sheâ€™s 16, black, and she lives in Trumpâ€™s America. Bri dreams of making it as a rapper and pulling her family out of poverty and into the limelight with her. 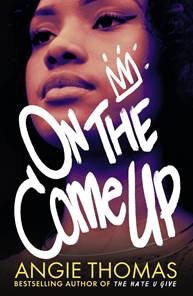 On The Come Up is Briâ€™s story, and itâ€™s every bit as funny, relatable, and inspiring as you would expect from an Angie Thomas book. By SHAAZIA EBRAHIM and FATIMA MOOSA. It isnâ€™t often that authors follow up their debut novel with an even better second book. Thomas, however, does just that with On The Come Up.Â You may remember Thomas after the roaring success of her debut book The Hate U Give (THUG) which was turned into a major movie in 2018 starring Amandla Stenberg. 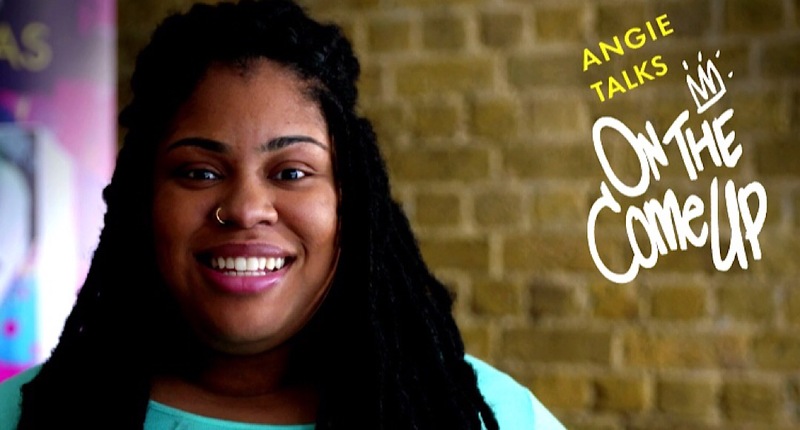 There is a lot to love about an Angie Thomasâ€™ books: the superb writing, the brilliants plotlines, relatable characters, and fantastic themes. But what makes her books stand out are the brave, beautiful, and kickass protagonists. In THUG there was Starr Carter,Â while On The Come Up gifts readers with Brianna â€œBriâ€ Jackson. In THUG Starr is left to deal with witnessing a white cop shooting her best friend. The book ends with mass protests in the Garden Heights community when the police officer is cleared of the murder. On The Come Up takes place in the same universe. It opens with Bri and her friends dealing with theÂ THUGÂ aftermath and the increased police presence in Garden Heights. On The Come Up is as relevant as they come. It tackles all the serious issues from the refreshing perspective of Bri who is as stubborn as she is determined. Bri is the star of the book. Her feistiness, her insecurities, her moments of weakness, and her moments of bravery makes the reader instantly root for her. Thomas writes such great characters. She writes black people in America with a nuance that is rarely found, and so understandable. Her characters are people trying to make the best of the lot theyâ€™ve been given (and we all know about the circumstances of minorities in the United States (US)). In a show of racial profiling, security guards body-slam Bri at school. Later, she creates a song On The Come Up about the experience and it becomes slightly notorious. Still, she refuses to become a poster child for police violence against black people and minorities. Itâ€™s not because she doesnâ€™t care. She just has so much else on her plate. During her February book tour, Thomas said: â€œBlack girls are told they are always too much or not enough. Their stories matter. They deserve their own narratives – they are she-ros!â€ This rings true so deeply and beautifully in Briâ€™s story. Drugs, gangsterism, police brutality, racial profiling, homophobia and misogyny are present themes in the book. Thomas tackles these issues within Briâ€™s community and outside of it. Even in her critique of Garden Heights and its conditions, Thomas clearly shows it is as a result of the systemic racism black Americans face on a daily basis. At the same time, there is the sweetness of Briâ€™s first crush, her beautiful relationship with her family, and her own insecurities as a teenager of not being good enough. Thomas writes difficult themes in a heart-warming way. Briâ€™s mom was a surprising character. Sheâ€™s a single mom (Briâ€™s dad was killed when she was a child) and a recovering drug user whoâ€™s been through the most. Bri constantly worries about her mom. In the book, Bri comes to understand her momâ€™s strength in fighting her addiction to be with her family. All in all, the relationship between Bri, her mom and her older brother was a really special thing. The best part about the book is it tells the story of hip hop in America. Bri expresses all her frustrations, her hopes, her fears, and her dreams using rap. She thinks in rhymes, and she keeps a collection of them in a notebook. On The Come Up takes us into the heart of battles on the underground rap scene, in the plush studio with hip hopâ€™s finest DJ, and in the recording studio where the magic happens. Itâ€™s beautiful to see Bri use her music to stay true to herself, against the pressures of â€œmaking itâ€ and going commercial. The best news is that even before the book was released in the US, it was picked up for a movie adaptation to be directed by THUG director George Tillman.Â We canâ€™t wait to see Briâ€™s story in the big screen! The 2018 movie adaptation of THUG, was a great success and we have faith that On The Come Up will be even better. Published by Pan Macmillan, On The Come Up will release mid-March 2019 in South Africa.